This was written more than 100 years ago, when the pace of life was so much slower than today. If wildness was a necessity back then, how much more essential is it to us now? Having worked in the outdoor industry since 1981, I have seen countless examples of weary people benefitting from the beauty and wildness of our mountains. If you need to take time out to explore your physical and mental boundaries, to reconnect with what is important, to be encouraged and refreshed, then a trip to the mountains could be just what you need. We know that there are many other people and organisations out there offering outdoor experiences, so why should you choose us? Many providers place the emphasis on the outdoor activity itself, on what you physically do. We are more interested in the whole experience, and on the restoration it can bring. We specialise in very small groups and personalised experiences, whilst many providers offer low-skills activities to large groups. 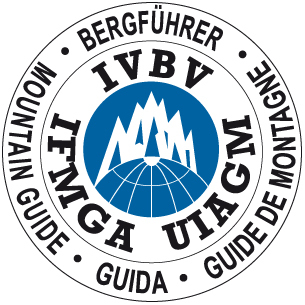 I have been an International Mountain Guide since 1997 - to explain what that is, the following info is taken from the website of the British Mountain Guides: A Mountain Guide holds the International Federation of Mountain Guides Associations carnet, the highest qualification in the world for leading people in the mountains, whether skiing, climbing or mountaineering. Mountain Guides come in many shapes and sizes – the one thing they have in common is their passion for the mountains. I know how good it feels when you send off an email enquiry, and you get a prompt and helpful reply. As a stay-at-home, self-employed, home-schooling mum, I also know what it is to be pressed for time, so our booking procedure is as simple and straightforward as possible. However, if you have any queries, then I’ll answer them promptly and fully. My experience as a mountaineer, rock climber, and as a Mountain Leader and Single Pitch Award holder gives me an understanding of the kinds of questions you might need to ask. In my free time I enjoy gardening, cycling, and reading. We have been married since 1988. We live in the beautiful English Lake District with our son, Sam, and our Bedlington lurcher, Bobby.